Two of the industry’s largest playing fields, NYC and L.A., are exploring the concept of commercial franchise zoning systems. Here's what you need to know about the ongoing situations in both L.A. and NYC. 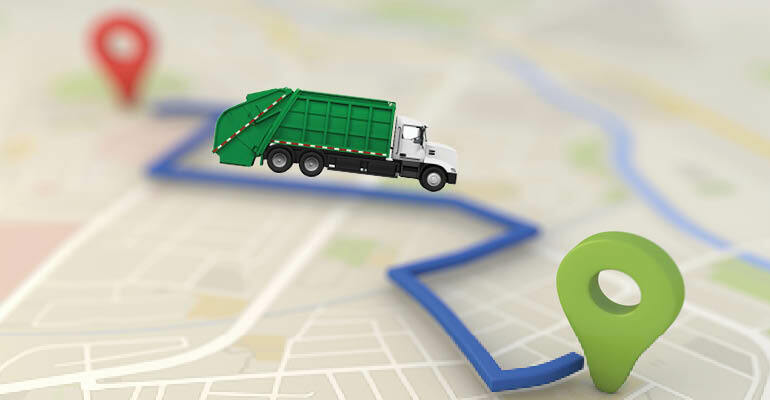 Lately, the topic of commercial waste collection zones—specific areas of municipalities that are assigned to contractors for collection services—has gained traction both inside and outside the industry. And while there are both pros and cons to franchise zoning systems, the industry is split when it comes to supporting the concept. Proponents claim that franchise zoning systems give the public sector more control over the waste management collection process, while critics state that removing the industry’s longtime open-market system takes away businesses’ ability to choose their own haulers, ultimately leading to higher costs and poor collection services for customers. Two of the industry’s largest playing fields, New York City and Los Angeles, are exploring the concept of commercial franchise zoning systems. Los Angeles is implementing its new zoning system this July, and after submitting a recent request for proposal (RFP), New York is currently moving forward with developing a franchise zoning system plan proposal that is slated to be ready for review in February. With a franchise zone collection system, municipalities establish zones (or assigned areas) and then create exclusive contracts with a hauler within each zone. The haulers are typically selected through a bidding process, where haulers provide the municipalities with collection services details and options. If long-term contracts are established between municipalities and haulers, the haulers have the incentive to make the necessary infrastructure investments that are needed to achieve high diversion rates. Additionally, municipalities can require haulers to utilize more clean-fuel trucks for collection services, ultimately reducing common road wear and traffic with more effective and efficient collection routes. This system, which has been around since the 1990s, is expected to reduce street traffic, boost recycling efforts, reduce air pollution, add more jobs, improve collection services, create more transparent pricing and competition, improve industry safety and more. “It’s a win-win for neighborhood businesses and residents as well as commuters who travel to neighborhoods around the city because it significantly reduces traffic, noise and pollution while providing businesses with more transparent pricing and competition around waste and recycling collection,” said former New York Mayor Michael Bloomberg’s “recycling czar” Ron Gonen to POLITICO New York. Where are franchise zones currently being used? Commercial and residential franchise collection zones are most commonly found on the West Coast. Cities like San Jose, Calif., Portland, Ore., Oakland, Calif., Chico, Calif., Seattle and Santa Barbara, Calif., are some of the many that have franchise collection zones in place. The industry’s two associations, the National Waste and Recycling Association (NWRA) and the Solid Waste Association of North America (SWANA), do not track the number of municipalities that have franchise collection systems, but they are following the developments of the zoning system implementations that will soon take place in both L.A. and NYC. Additionally, NWRA played a big role in helping to defeat efforts to develop a franchise collection system in the City of Chicago. “We do not track the number of local governments that have commercial or residential waste collection franchises, though the number is substantial. Waste franchises are particularly prevalent in California, where many major cities, including Oakland, have such arrangements. 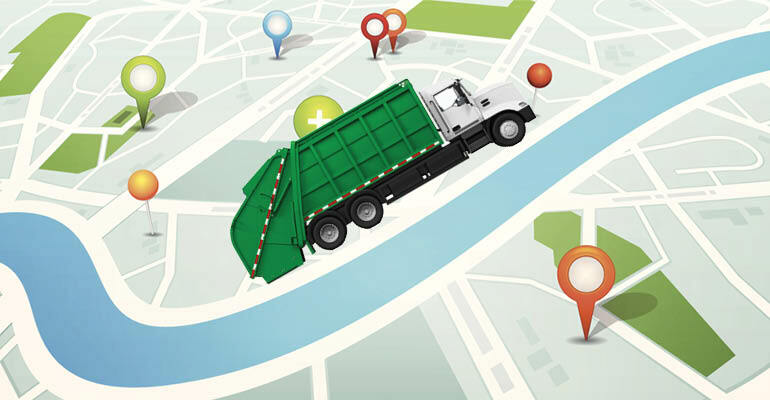 SWANA will continue to closely monitor developments in Los Angeles and New York City relating to implementation of waste collection franchises,” says SWANA Executive Director and CEO David Biderman. In addition to L.A. and NYC, the City of Champaign, Ill., is moving forward with drafting a waste collection zone proposal to present to the City Council for further discussion. What do both sides of the debate have to say? Here is a breakdown of the ongoing situations in both L.A. and NYC. What is Los Angeles’ approach to commercial franchise zoning? The City of Los Angeles, which currently has a recycling rate of approximately 76 percent, has a goal to increase its recycling rate to 90 percent by 2025 and 100 percent by 2050. But in order to reach its 2025 goal, and ultimately zero waste, the city must reduce landfill disposal by 1 million tons annually. The city has explored many ideas for decreasing the amount of material sent to landfill and improving recycling and the processing of organics. 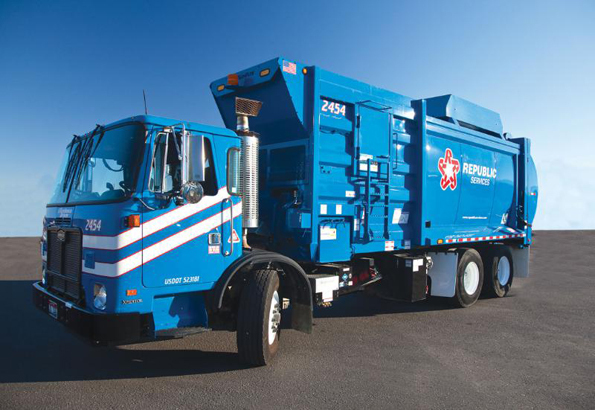 But at the end of last year, the Los Angeles Board of Public Works approved a $3.5 million waste hauling contract, which includes 11 franchise zones split amongst seven waste haulers. The haulers—Athens Services, Republic Services, Waste Management, Universal Waste Systems, NASA Services, CalMet Services and Ware Disposal—will begin waste, recycling and organics collection services in their awarded zones starting in July, and their franchise rights will remain valid for 10 years. As part of their contracts, the haulers must provide residents with bins for waste, recycling and organics and use vehicles powered by clean fuel. “Winning a waste franchise zone guarantees haulers 10 years of business in the very lucrative L.A. market, thus providing them with an incentive to deploy less polluting trash trucks, end dependence on landfills and develop good jobs in the state-of-the-art green infrastructure needed to sort and process new waste streams,” said Linda Escalante, environmental policy advocate for the National Resources Defense Council, in a statement. Under the new franchise system, recycling collected at the same frequency as solid waste is included in the same rate, and recycling collected on additional collection days will have an additional cost. Organics collection will also be offered at a separate charge. “Since solid waste collection will have a cost for businesses, it’s an incentive to reduce their bills,” says Lisa Carlson, environmental supervisor of the solid resources commercial franchise division for the City of Los Angeles. The city currently accepts cans, bottles, plastics, glass, newspaper, other paper, cardboard, Styrofoam, wire hangers, film plastic and plastic bags for recycling, but it will monitor recycling bins closely to ensure that businesses aren’t tossing everything into recycling bins to lower their waste bills. In addition to decreasing the amount of material sent to landfill and improving recycling and the processing of organics, the city plans on setting transparent and predictable waste and recycling service rates, complying with environmental mandates, reducing greenhouse gas and air pollution emissions, decreasing food waste, improving health and safety for solid waste workers, ensuring long-term competition and improving service accountability and quality customer service, which go hand-in-hand with the city’s Zero Waste LA program. What is Zero Waste LA? Zero Waste LA is a new public-private partnership designed to address the 3 million tons of waste generated annually by businesses, consumers and residents that was passed by the Los Angeles City Council earlier this month. All customers will be transitioned into Zero Waste LA by January 2018; however, franchise haulers will have additional work to do to stay within their contracts, according to Tokeshi. They will have detailed requirements for tonnage reports and tracking, in addition to being required to submit monthly tonnage reports, by waste stream, identifying the facility utilized. Furthermore, all facilities must be certified by the sanitation department, and as part of the certification requirements, those facilities also will be required to submit monthly reports. As July quickly approaches, the seven waste haulers are working hard to prepare for the integration of the new franchise system. What’s the situation with NYC’s ongoing commercial franchise zone debate? In New York City, the competition is real, especially in the waste and recycling industry. 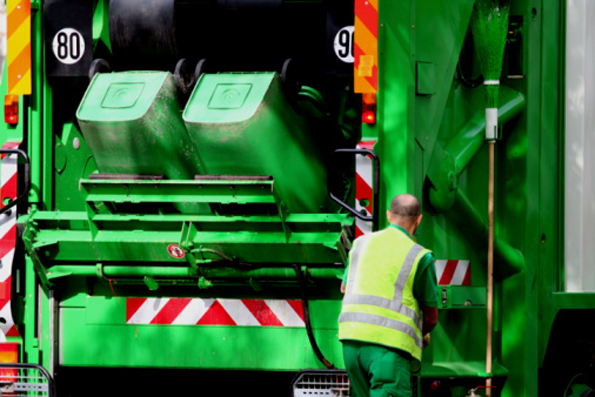 Like most cities in the U.S., businesses in New York have always shopped around for the best waste and recycling collection services to suit their needs and then entered into an agreement with their preferred hauler. But now, the city is exploring the concept of a commercial waste collection zoning system, which would ultimate eliminate the industry’s much-supported open-market system. The proposed franchise zoning system in New York would be centered on achieving three main goals: reducing truck traffic and greenhouse gas emissions, promoting worker safety and lowering costs for smaller businesses. And one of the main supporters of the proposed zoning system is Transform Don’t Trash NYC, a coalition dedicated to transforming New York City’s commercial trash industry to reduce waste and pollution, foster clean and healthy communities for all New Yorkers and create good jobs. Last year, the coalition teamed up with Justin Wood of New York Lawyers for the Public Interest and Jessica Quiason of The Alliance for a Greater New York (ALIGN) to develop “Reforming for a Better Deal: How to Align Cost Savings, Sustainability, and Stability in NYC’s Commercial Waste System,” a report that outlines six recommendations for ensuring that pro-recycling policies are also pro-business policies. Businesses must be able to right-size their waste and recycling services to save money. The existing rate cap needs improvement to be meaningful to businesses. Pricing for recycling and composting services should be set to ensure that small businesses benefit from participation in diversion programs. System-wide reform should create stable prices for customers. NYC should use competitive RFPs to achieve the lowest possible prices and ongoing price stability for customers. Diversion and efficiency must go hand-in-hand. Currently, the city’s two largest players, Action Environmental and IESI New York (now owned by Waste Connections), and the top 20 haulers control 84 percent of the market by revenue, and the remaining 64 percent is controlled by various smaller haulers. Additionally, two-thirds of the industry is unionized. Does the City of New York Department of Sanitation back the idea of a franchise zoning system? Yes, the City of New York Department of Sanitation (DSNY) and the Business Integrity Commission (BIC) also support the concept of a franchise zoning system. In August 2016, the duo released a study that recommends that the City of New York move ahead with implementing commercial waste collection zones. The study, which was commissioned in October 2015 and focused on 90 companies licensed by the BIC that collect waste and recycling from approximately 107,800 customers in New York City, assessed several key areas, including economics, mileage, emissions and industry safety. Among other findings, the study concludes that establishing commercial waste collection zones could reduce truck traffic associated with commercial waste collection by 49 percent to 68 percent, lessen greenhouse gas emissions by 42 percent to 64 percent and require 43 fewer collection routes per day. New York City currently has a goal of reaching zero waste by 2030, and with the city handling about 10,000 tons of waste a night, changes need to be made in order to increase recycling efforts and decrease the amount of material being sent to landfill. But if the city decides to transform its current open-market, competitive system into a commercial waste collection zoning system, the process would take about five to seven years, which gives the city very little time to adjust to the new system and reach its zero waste goal by 2030.